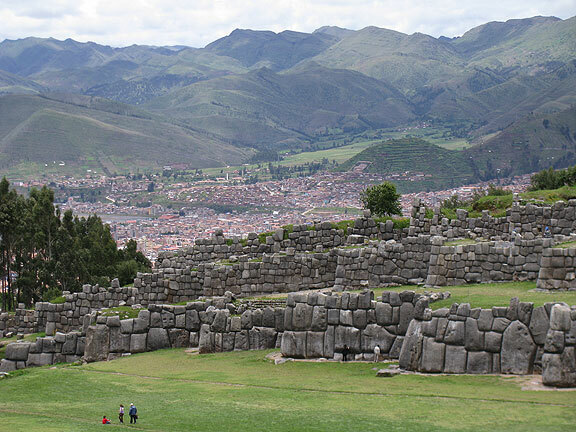 Sacsayhuaman was a vital Incan site on the hill above Cuzco. 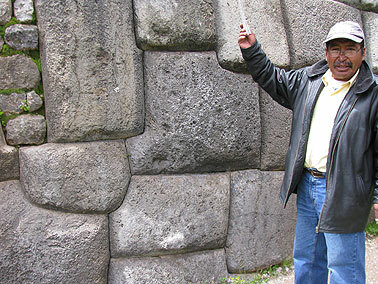 The stonework here, as well as in the heart of Cuzco, is just astonishing. 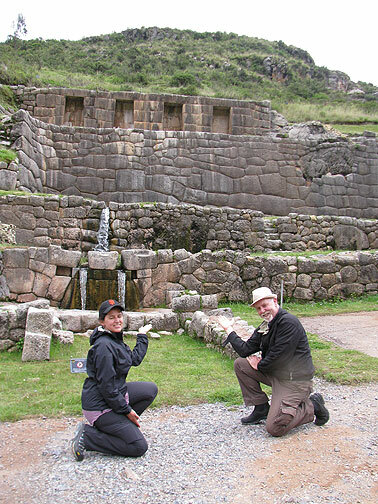 It was a great place to see the stone masonry up close, and a great preparation for our 4-day hike on the Inca Trail to Macchu Picchu. 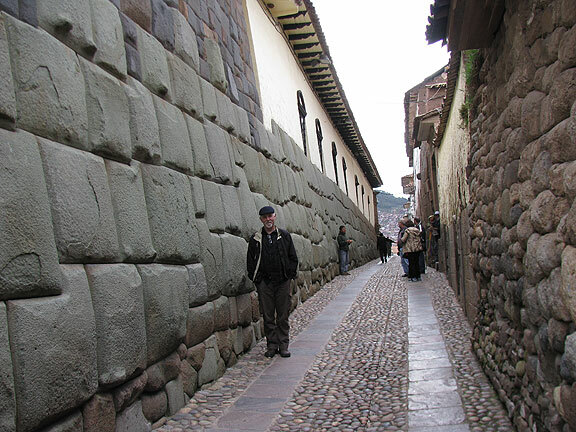 Adriana stands in the Antisuyo, one of the ancient Incan streets still used today in Cuzco. 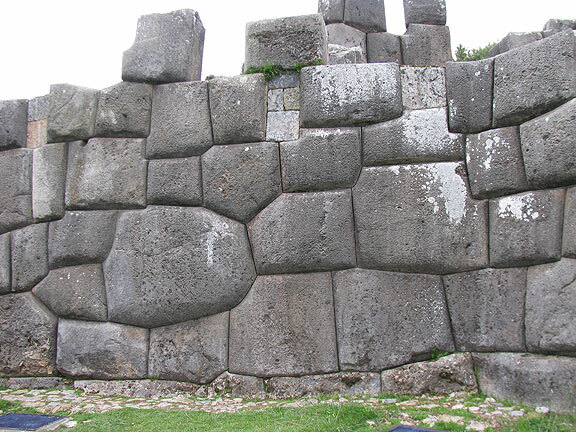 Note how snugly the stones fit together, a perfect anti-seismic structure. 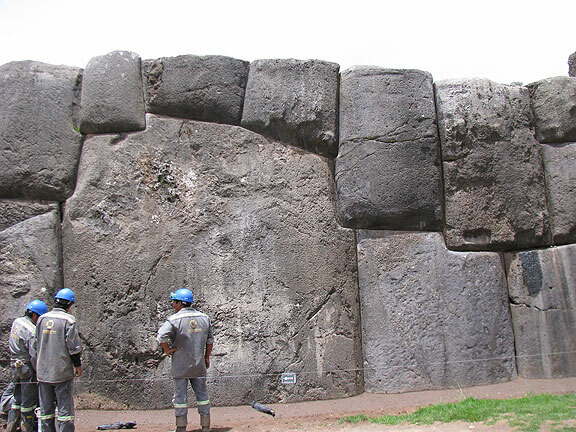 These giant boulders were shaped by Inca stonemasons to fit together. 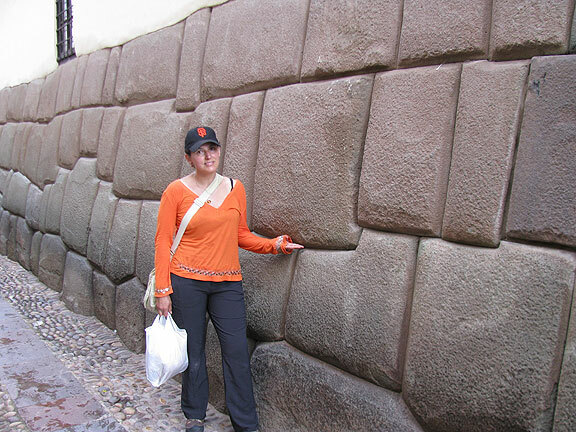 Here I am in Antisuyo, a touristic part of old Cuzco, but breathtaking stone work nevertheless! 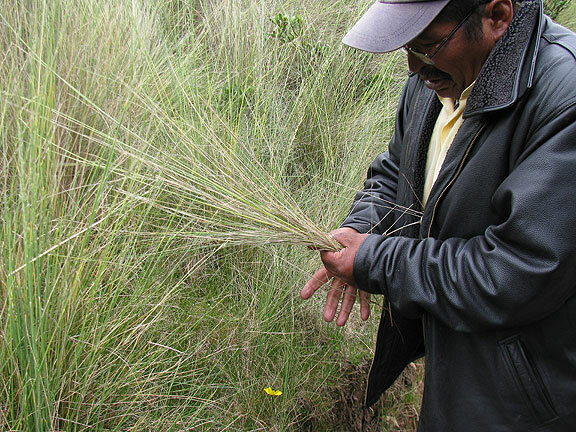 I always resist hiring a local guide, but this guy turned out to be a great historian and told us a great deal about Saqsayhuaman and Incan stonemasonry. 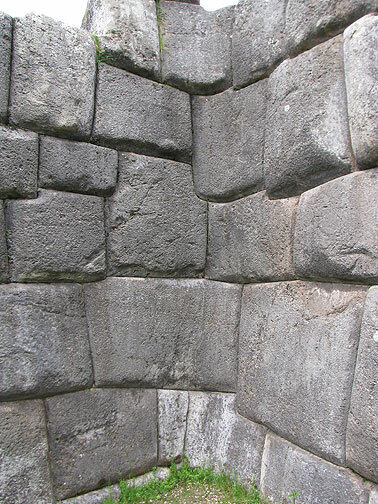 The concave/convex structures, in addition to the 12-17 points on some stones, were done by some of the best stone masons that ever lived. I never got tired of gazing at these walls, and photographing them! 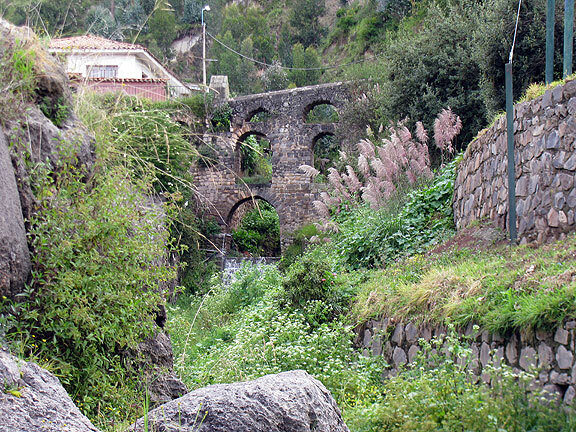 Their stonework managed to accommodate curves too. 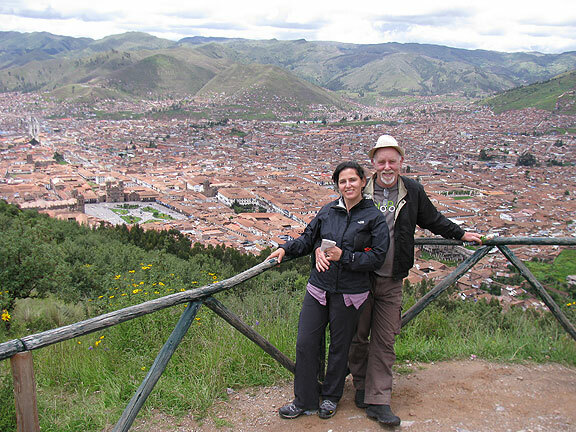 Our guide had a good sense of where to take memorable tourist photos! 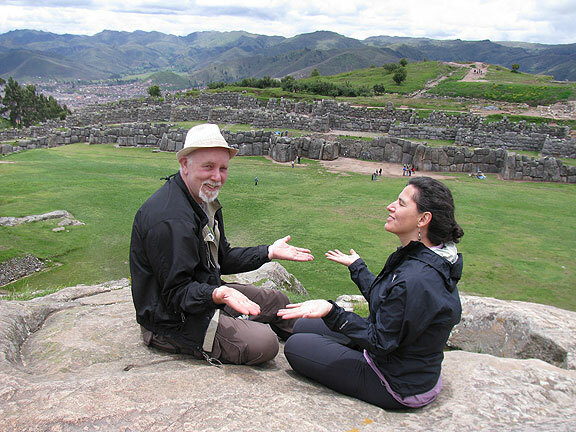 And here, where we were convinced to impersonate hippie spiritualists! 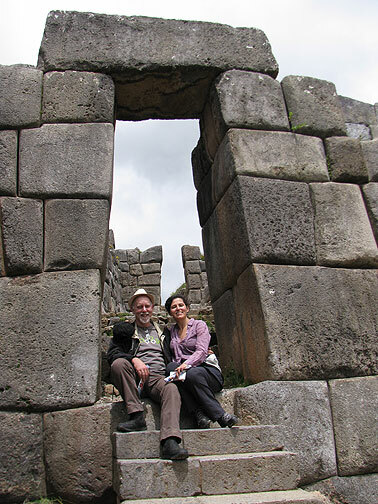 This is a half hour away, another Inca ruin called Tambo Machay. 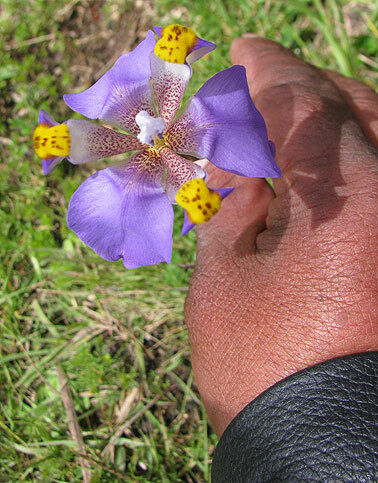 There were tons of blooming wildflowers along the way. 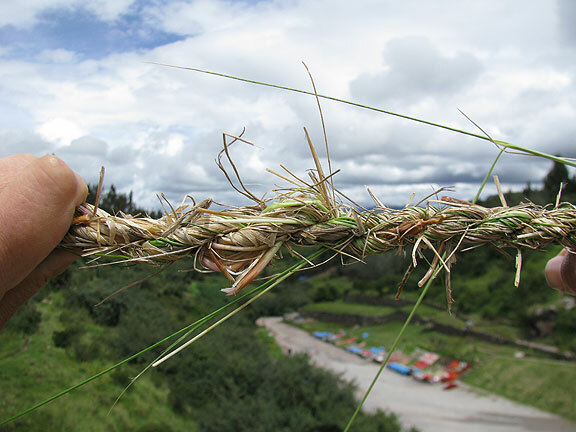 Our guide grabbed some local grasses and began twisting them together, showing us how Incas made rope. 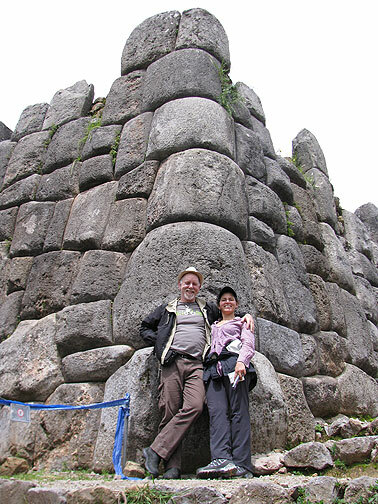 Climbing up to Saqsayhuaman brought us by this view of old arched stone bridges... reminded me a lot of Switzerland, actually! 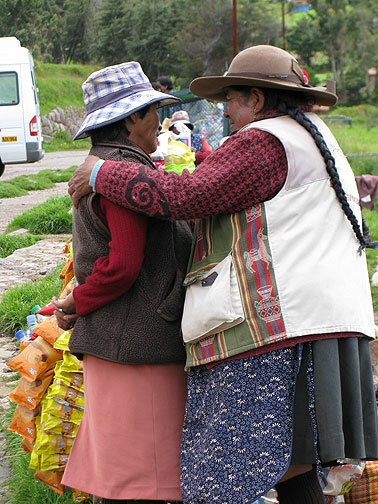 These women were conferring about something as we arrived at the top. 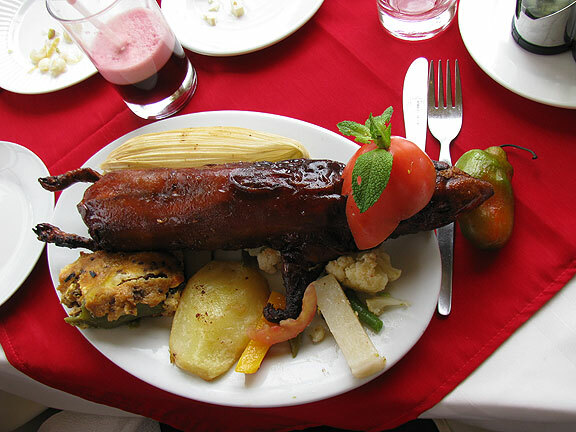 We ended later in a fancy restaurant, where I decided to try "cui" which we know as guinea pig... they whisked it away and cut it up for me or I'd have been a bit lost about how to eat it. Pretty good!